Why bother to break out two dishes for your coffee and your breakfast, when you could just combine them into one? That’s the idea behind the Best. Morning. 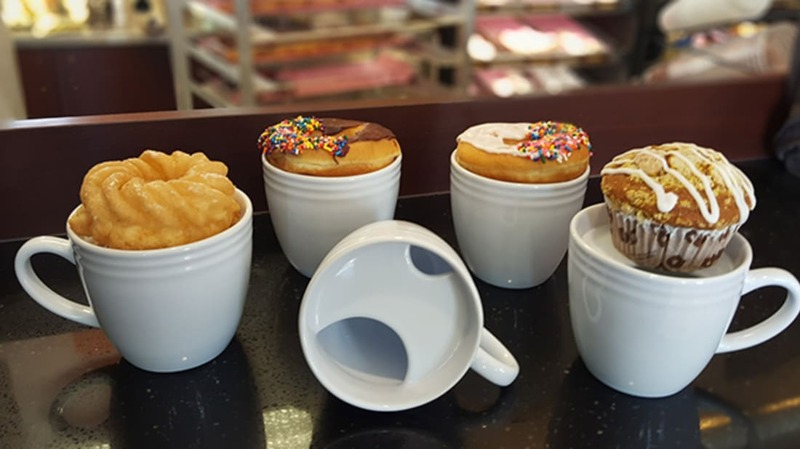 Ever mug, a Kickstarter-launched design that combines a coffee cup with a miniature plate, perfect for resting your fritter. The 16-oz. porcelain mug is designed with a built-in hot plate covering to keep your coffee hotter, longer. Oh, and that lid is also perfect to rest a doughnut on, ensuring that your pastry gets a nice steaming and you save water on dishwashing. Order it here for $15. Doughnut not included, sadly.